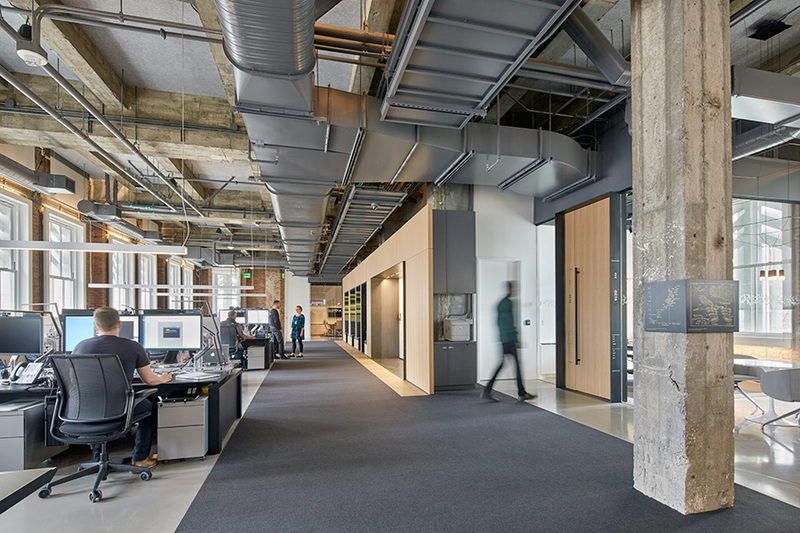 The Bloomberg Tech Hub is both a workplace for software engineers and an event space to help foster connections between Bloomberg and Silicon Valley. 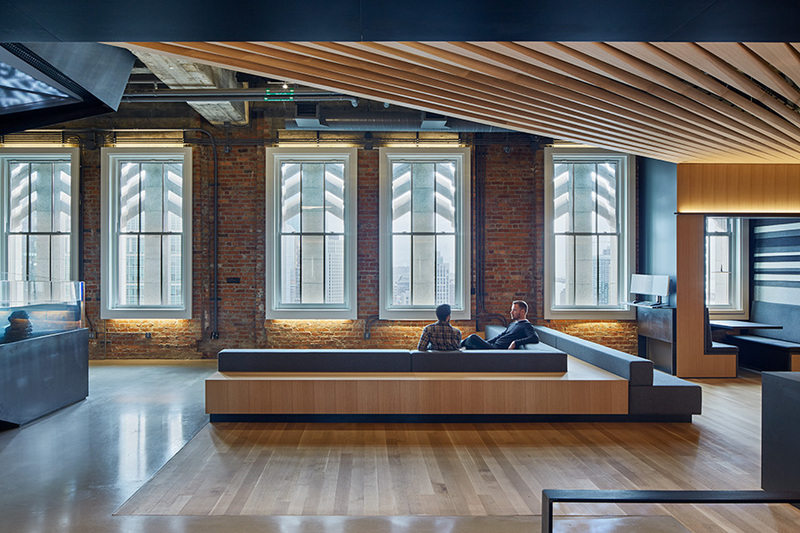 The space is in San Francisco’s historic Pac Bell Building and juxtaposes new elements against the exposed raw materials while also translating the form of the exterior ornamentation. A porous wood “liner” splits into a series of sculpted boards at the ceiling that recall the facade and allows glimpses through to the raw concrete shell. Though relatively thin, the liner provides dimensionality to the space and ceiling. A rhombus shaped fish tank is paired with a sculptural media piece, “Light Volume,” affording visual connection between the two levels.